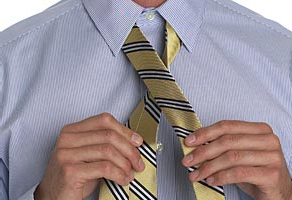 Twist the wide end so that the seam shows. 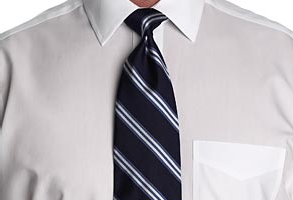 Then cross the narrow end over the wide end. 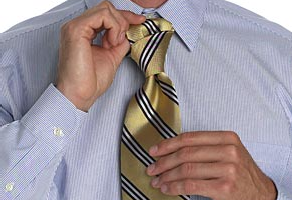 Pass the wide end over the narrow end. 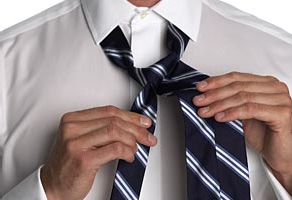 Pass the wide end underneath the small knot that is formed. 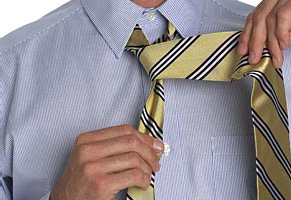 Pull the rest of the wide end through to the front. 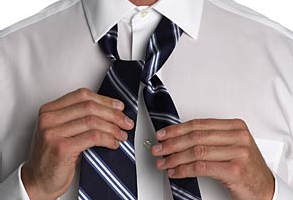 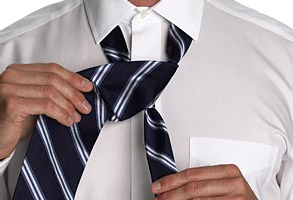 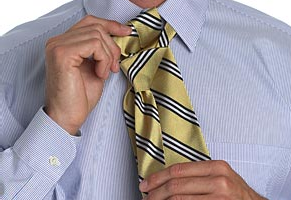 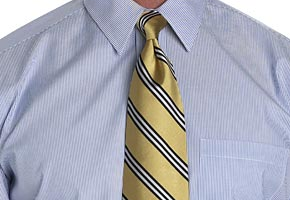 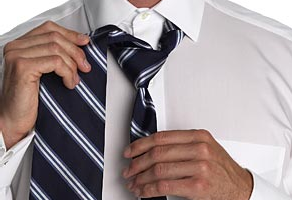 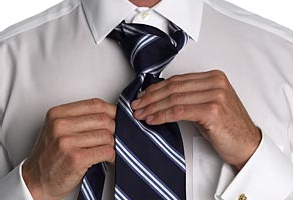 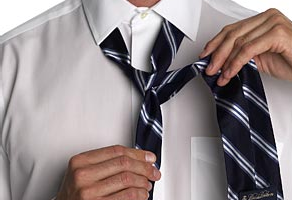 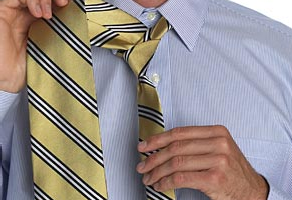 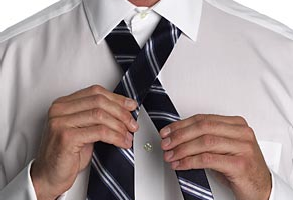 Pass the wide end of the necktie under the top layer of the knot, and pull the wide end all the way through.